Michael Newberry, b. 1956, is an American neo-romanticist painter based in Idyllwild, California. He blends a variety of influences, notably Rembrandt and the French Impressionists. His major works are typically life-sized canvases. His works are collected by internationally renowned people such as designer Chan Luu and philosopher Stephen Hicks. He began painting at age 11, after discovering Rembrandt. He was a fine art major at the University of Southern California from 1974 to 1977 and was mentored by American modernist Edgar Ewing. His first solo show, at age 19, was in 1976 at a local bank in La Jolla, California, and featured a large portrait, Fifi. 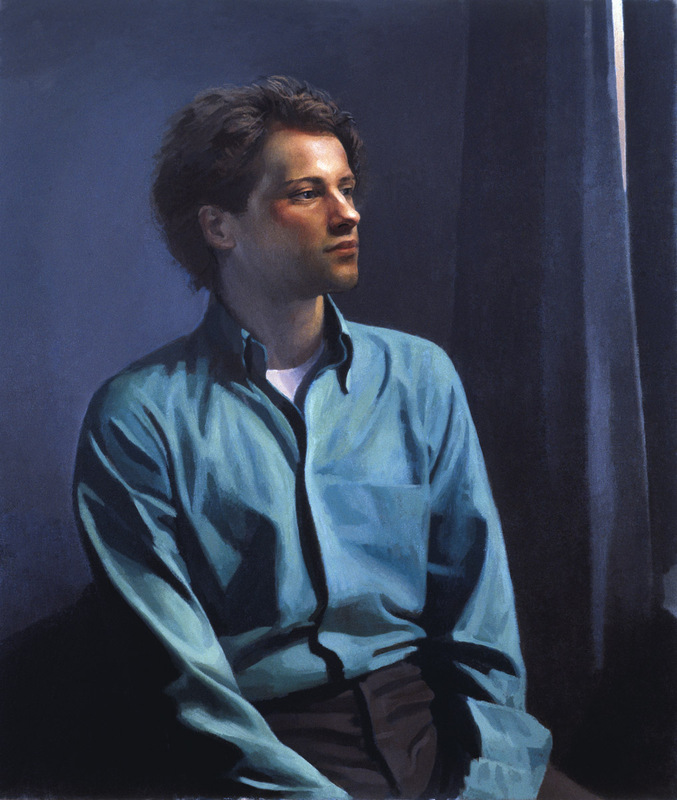 In 1977, before graduating, he left USC to study at the Royal Academy at the Hague, in the Netherlands. Later he attended the Free Academy Psychopolis from 1977–79 with an emphasis on life drawing. He had a second solo show at De Sluis Gallery in Leidsendam, Holland, in 1979. Outside of his studies he began creating canvases of life-sized solitary nudes, a practice he continues through to today. The 1978 painting Jette is a good example from this period. 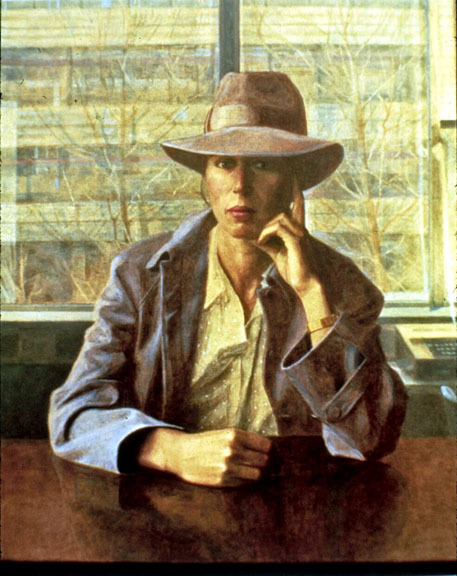 Starting around 1980 Newberry began incorporating realism, The Sculptor, followed up by narrative themes such as with this 84 x 60″ 1984 painting, Pursuit. He has continued to paint without interruption since his twenties. 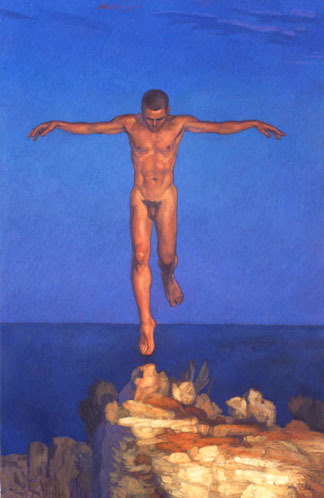 While teaching at Otis College of Art and Design (then Otis/Parsons), Newberry painted a series of life sized nudes including Denouement, Ascension Day, Absorption, and Counterpose. After 4 years of teaching , he moved to Rhodes, Greece. Incorporating ancient myths with contemporary people and places he painted Icarus Landing, and he also completed Synergy, Release, and Slipper which were previously begun in Los Angeles and were 7 years in the making. In ’99 he was featured in CNN International’s The Art Club. At least every two years from 1985 to 2010 he showed in solo, pop up, group, gallery, internationally traveling exhibitions, and his own gallery in Santa Monica, The Newberry Gallery. Notable shows were at the Athens College in Athens, Greece; 3 times with the Ministry of Greek Culture, Rhodes, Greece; at II Politecnico, Rome, Italy; several self-hosted thematic shows at his Downtown Los Angeles studio on Traction Avenue, such as 65 pastel drawings from a 3-month trip to Greece and Turkey in 1988. His most notable show from this period was in 1990 Ascension, The Figure Through Emotive Themes, Naissance Gallery, West Hollywood, California. 400 people attended, several works sold, a passage from Ayn Rand’s Atlas Shrugged was read by actress Kathleen Houlihan Burke, a world premier performance for solo piano Transcendental Rhapsody by composer Donald Edick, and a subliminal sound experience was created in collaboration with Hollywood sound producer Gordon Ecker. The painting Denouement was the highlight. 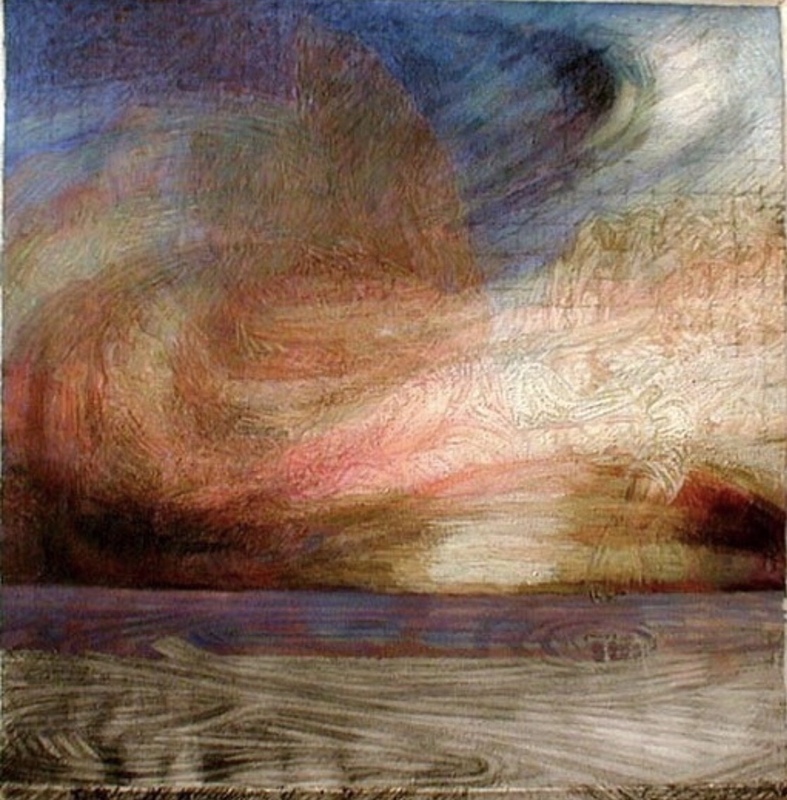 In 1992 he drew a series of charcoal drawings on the themes of mourning and rebirth. Rend is a short essay about the experience with some of the drawings from that series. Coinciding with 9/11 Newberry began writing art criticism critical of Postmodern art theory and pointing towards an alternative aesthetics of new evolutionary elements in figurative art. These are good examples: Terrorism and Postmodern Art and Pandora’s Box Part 3. And a few years later began writing art tutorials online, such as Composition in One Easy Lesson. Briefly living in Florida and then moving to Brooklyn Newberry completed Artemis, 2006, and Venus, 2008 before moving to Santa Monica. There he opened the Newberry Gallery showing artists such as William Wray and Robin Purcell as well as his own works. Leaving his 2-year role as Artist/Gallery Director in 2010 he moved from Santa Monica to L.A.’s Arts District to paint. A few years later he moved to a cabin retreat in Idyllwild, California. He stepped away from showing and focused on reinventing his painting. 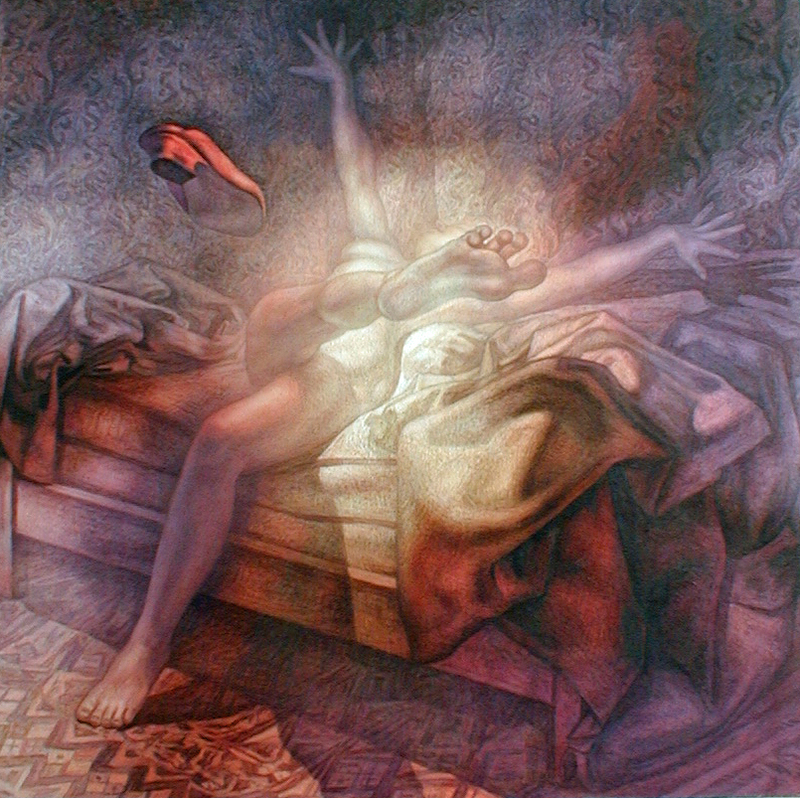 During this time he completed the long-term projects Lovers Jumping and Adam and Eve, Promethia 2. And he created the Arabesque Series–Male, Female, and Heterosexual Couples; Lightness; Emerging; The Collector; Katie Pregnant; Winter; Venus of the Planets; and Venus 3. 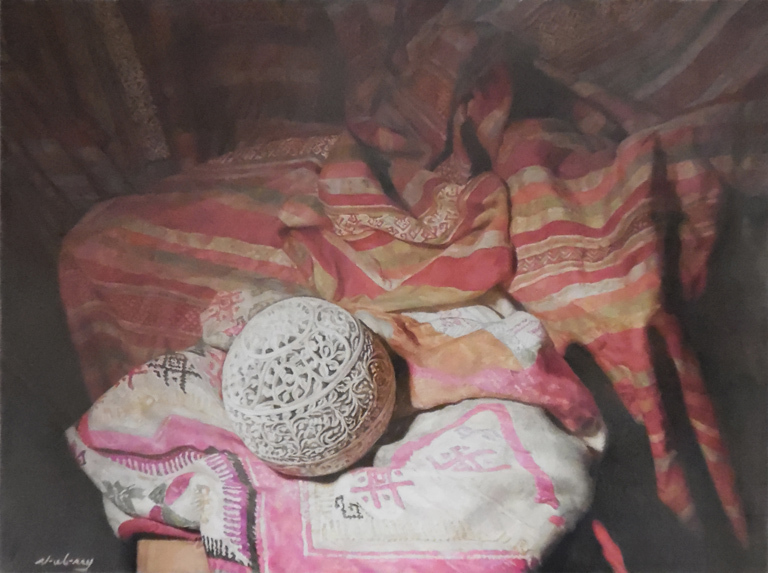 In 2017 he had a solo show at the White Cloud Gallery in Washington, D.C. He drove from California to D.C, transporting the show across America, documenting the trip, and opening, An American Journey. Pastels from the trip are here. A list of some works since Newberry was 19 years old. 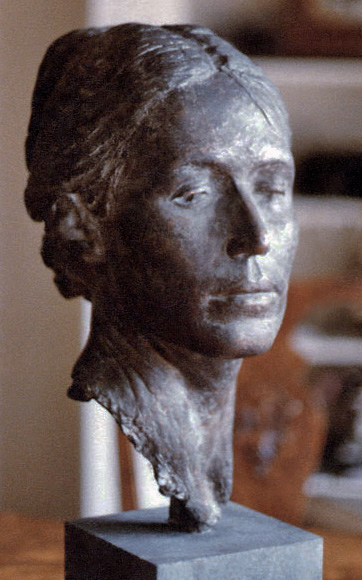 He created and organized the Foundation for the Advancement of Art, which held a conference “Innovation, Substance, Vision: The Future of Art” at the Pierre Hotel in Manhattan on October 6, 2003, featuring speakers: philosophers Stephen Hicks and David Kelley, vision scientist Jan Koenderick, and sculptor Martine Vaugel. The mission of the Foundation was to recognize and promote innovative, contemporary representational painters and sculptors. 2017 Intimacy, White Cloud Gallery, Washington D.C.
2018 Land Escape, White Cloud Gallery, Washington D.C.